How are climate models developed, and how do they help scientists to project the future climate? Why are there so many different climate models? Can extreme weather events such as inundating floods and wildfires be attributed to climate change? These are among the questions that will be explored by Gabriele Hegerl, a statistical climatologist at the University of Edinburgh. Since 2013, Hegerl has led the European Advanced Grant “Transition into the Anthropocene,” working with state-of-the-art climate models to understand the nature and drivers of climate variability. 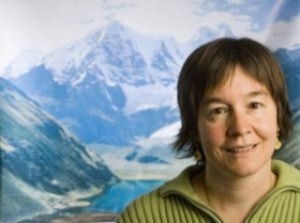 She has received multiple international awards and recognitions for her work in climatology, climate variability, climate extremes, and climate changes in the past millennium. A Fellow of the Royal Society, Hegerl published some of the first studies showing that it is possible to detect the influence of humans on surface temperatures, and to separate human and natural influences. She has been a contributor to the last three Assessment Reports of the Intergovernmental Panel on Climate Change, including the 2007 Panel, which was awarded the Nobel Peace Prize for its work. Hegerl has also been a strong advocate for the role of women in science, focusing on the importance of balancing work and family life.